Classified » Business & Office » Businesses for Sale » Quality Masjid Carpet - Get Huge Savings & Enjoy!! 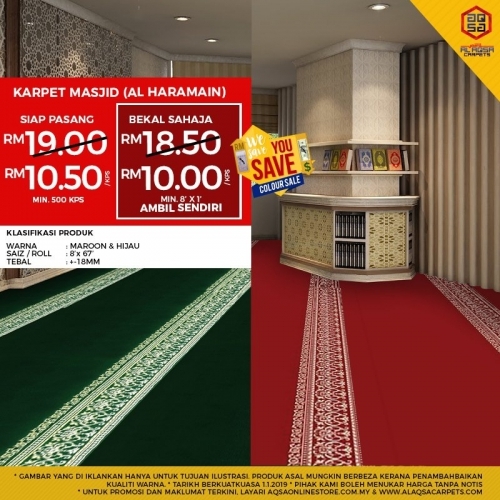 QUALITY MASJID CARPET - GET HUGE SAVINGS & ENJOY!! -Get 10% to 45% off on Mosque Carpets!! This exclusive offer only available until stock lasts! !